Self-taught guitarist Russell Malone has a very clean, elegant style, and is equally at home playing ballads or swinging. When he was in his 20s, he joined the band of organist Jimmy Smith, and went on to join Harry Connick Jr.’s big and. He then worked with Diana Krall during much of the 90s and early 2000s, appearing on three Grammy winning albums with her, as well as on Roy Hargove’s Grammy winner Crisol, and on a couple of albums with pianist Benny Green. Malone most recently appeared in the Twin Cities with Ron Carter last Fall. He’s released a dozen albums of his own since 1992, all of which have been well received. 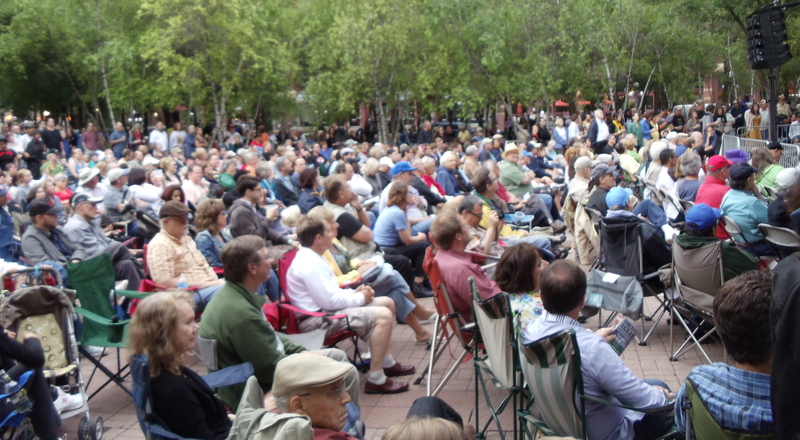 As part of the 2016 Twin Cities Jazz Festival, Malone will bring an all-star quartet to Mears Park on Saturday, June 25th, at 6:30pm — Rick Germanson, a frequent visitor to our town on piano, Luke Sellick on bass, and acclaimed drummer Willie Jones III. I had a chance to see Malone and his quartet during the 2015 Jazz Cruise, where he was sitting in with a number of groups in addition to leading his own. He was gracious enough to grant me a few minutes time in between sets. This is a lightly edited version of the interview. LE: What was your very first musical memory? RM: Growing up in the church, hearing church music. That was the first music I heard before I got into jazz. My mother had records by groups like the Dixie Hummingbirds, Sam Cooke with the Soul Stirrers, and just hearing the people in the church sing those songs. It was very moving music. Not sophisticated, but very moving. LE: What drew you to the guitar? RM: Hearing the gentleman in my church perform. This old man, that I never got to meet, but I saw him (regularly). Keep in mind that I already had a love and a fascination with music. Even at the age of 4 years old I was aware of the different types of emotions and feelings and reactions that you could get from people through playing music. I was aware of that, which always fascinated me. You could play music and you could connect with total strangers. Somebody you don’t know would hear you and then they laugh, they cry, you get these different types of reactions. That’s so powerful. The gentleman brought the guitar to church, and I was fascinated by the way that it looked, going to church one Sunday and seeing it perched against one of the pews. This interesting looking object that was totally foreign to me at the time sitting there perched up against the bench, And then there was this cable that extended from the guitar into this box, which was the amplifier. The whole getup was just so fascinating, and then when he started to play and I heard the sound and knew that whatever I was thinking musically, or feeling musically, that would be the vehicle that I would use to express those thoughts or feelings. That’s how I became fascinated with the instrument. LE: You’ve talked about being a young man and transcribing and playing other people’s solos to learning how to play chords. How did you know you had a sound that was yours? That’s a good question. I think everybody has their own voice, their own identity. They may not know that when they’re younger, but when you’re younger you want to be validated and you want to be liked. I’ll use myself as an example. There was a period when I felt I needed to play certain types of songs and play things a certain way because I wanted the approval of other people. I wanted them to like me. After a while, this happened when I reached my mid-thirties, I came to the conclusion that no matter how much I loved my mentors like Wes Montgomery and George Benson, and all the people I grew up listening to, no matter how much I loved them, when it came to being Russell Malone, I’m the best there is. No one can outdo me at being that. It’s kind of like getting to the point of realizing your parents aren’t perfect. You don’t have to make the same choices that they made. You don’t have to like everything about them. You don’t have to like everything about your heroes. That doesn’t mean that you don’t love them or respect them, but you don’t have to make the same choices in life that they made. That same thing applies to music. You find yourself on stage with some of the guys you came up listening to, like Kenny Burrell or George Benson, if you’re on stage playing with them, what are you going to do, play like them or play like you? Nobody wants to hear that. LE: How did you know you had reached that point where it was your sound, where it was distinct from others? RM: Well, once I realized I didn’t have to make the same musical choices, I learned to accept myself. You have to accept yourself warts and all. If anybody else doesn’t like it, that’s not your problem. You can’t let that be your problem. You have to let that be their problem. LE: Were you doing things in terms of the use of your instrument? RM: Just playing like me. Just accepting my sound. I’m never going to sound like those guys. You have to accept that. I’m never going to be them, but I am going to be me. I’m the best there is at being me. LE: Thank you very much for your time. I know you have a full schedule here on the ship. 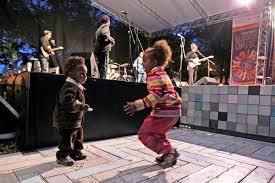 As in the past, the Twin Cities Jazz Festival continues to add stages, notably the Kellogg Stage on Kellogg Boulevard just outside Lowertown, as well as around Saint Paul. This presents the best kind of problem – one of figuring out where to go, so I’ve put together this short guide to a few of the different kinds of performers at the fest. If a band isn’t listed here, it’s not because they aren’t worth seeing. It’s just that with so many bands to choose from, it’s as daunting for me as it is for you. Besides the styles that I listed, you’ll find brass bands, traditional jazz, and post-modern bands. Look for a copy of the official program at venues around town. It lists performances by stage and time to further help you decide. Don’t be afraid to check out any of the other performers on the bill. That’s the way you discover someone new. 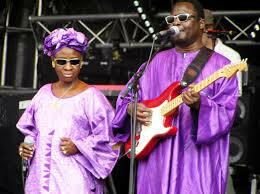 For more listings, KBEM provides a calendar of jazz and roots music. For further commentary on Twin Cities jazz, check out the blogs, Jazz Ink. Quite the mix of music this week, with bagpipes, slack key guitar, and South African acapella artists coming to town, as well as some outstanding jazz from resident artists, and at least three occasions to polish up your dancing shoes. Stay warm and let the music lift your spirit. Joel Shapira Quartet @ The Black Dog Coffee and Wine Bar, Minneapolis. 7:30pm – 9:30pm (tip Jar) A quartet of Twin Cities Talent with a capital T. Joel Shapira, guitar; Pete Whitman, sax; Tom Lewis, bass; and Dave Schmalenberger, drums. Gypsy Mania @ Barbette, Minnbeapolis. 10pm (No Cover) Some late night gypsy jazz from Glen Helgesen and Reynold Philipsek on guitars; Matt Senjem, bass; and Gary Shulte, violin. Just the right music for the French-inspired victuals at Barbette. Moonlight Serenaders @ The Wabasha Caves, Saint Paul. 7pm ($7) Join the young folk in swing dancing to the sounds of a big band, featuring the vocals of Lee Engele. The Twin Cities Latin Jazz Orchestra @ Jazz Central, Minneapolis. 8:30pm (Donation) Trumpeter Geoff Senn and percussionist Mac Santiago have gathered 18 of the area’s top musicians to form this new band. This is an open rehearsal and any donations will be used to get more music for the band. It will be a unique experience. Winter Jazz Break @ the Saint Paul Hotel, Saint Paul. The Twin Cities Jazz Festival is presenting a special night of music. In addition to JoAnn Funk and Jeff Brueske in the hotel’s lobby bar, pianist John Weber will be playing in the promenade ballroom. It’s $5 to see John, and, if you wish, you can also donate to the Festival. As usual, the cost of seeing JoAnn and Jeff is dependent on what you order from the bar. The Bridge @ Jazz Central, Minneapolis. 6pm – 8pm ($10 suggested donation) With the closing of the AQ folks are trying to fill the gap with a Friday night series (The Bridge) featuring many of the musicians that played the AQ. Each week will feature a different cast of musicians. Tonight it’s Brandon Wozniak, sax; Zacc Harris, guitar; Jeremy Boettcher, bass; and Cory Healey on drums. They’ll be followed at 8pm by the Southside Combo ($5 suggested) being presented as part of the Jazz Police Young Artist Series. Courageous Endeavors @ Dakota Late Night, Minneapolis. 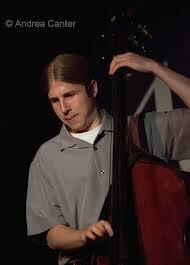 11:30pm ($5) Bassist Brian Courage and his group bring some young jazz to the late night scene at the Dakota. Besides Brian, the group includes Miguel Hurtado, drums; Joe Strachan, piano; and Nelson Devereaux on sax. Bryan Nichols & James Buckley @ The Icehouse, Minneapolis. 6:30 – 9:30pm (No Cover) There’s no cover, but you be warned that you may need dinner reservations if you want to be close enough to appreciate the artistry of Nichols on piano and Buckley on bass. Fuzzy Math @ The Black Dog Coffee & Wine Bar, Saint Paul. 4-6pm (Tip Jar) Spend a Sunday afternoon listening to original jazz from this quartet of Mark Venderhyde, keys; Andrew Schwandt, sax; Matt Peterson, bass; and Harold Bondaris, drums. Regional Jazz Trio @ The Icehouse, Minneapolis. 9:30pm ($8) Anthony Cox, bass; Michael Lewis, sax; and JT Bates on drums – three internationally known artists playing modern jazz. Here’s Cox playing with a couple of other outstanding resident musicians. Paul Renz Trio @ Barbette, Minneapolis. 10pm (No Cover) Paul is an exquisite guitarist who has recorded a half dozen or so well-recieved CDs. He regularly tours the East Coast, teaches as MacPhail, and is head of jazz studies at the West Bank School of Music. George Kahumoku Jr. & Leward Kaapana @ The Cedar Cultural Center, Minneapolis. 7:30pm ($25) Ahhh, just what is needed for the dead of winter – a concert of Hawaiian slack key guitar and ukelel music, straight from the Islands. Get out those flowered shirts and dream. Paul Cebar @ The Cedar Cultural Center, Minneapolis. 7:30pm ($20) Paul is celebrating the release of Fine Rude Thing, his new release that showcases his ability to mix R&$B, Caribbean, and New Orleans rhythms into an intoxicating blend of danceable music. His fans include folks like Nick Lowe, Bonnie Raitt, Joe Ely, and Los Lobos, not to mention the crowds that come out every time he’s in town. Here he is performing a song from the new CD. Javier & the Innocent Sons @ Washington Square, White Bear Lake. 9pm – 11pm (No Cover) Javier and the Sons play the blues, featuring the haunting vocals and guitar of Javier Matos. There’s a bit of jump and swing to their music, though Washington Square lacks a dance floor. Still, there’s a nice selection of beers and some decent food. Helping things out will be Hurricane Harold on harp. Jim Ruiz Set w/Bethany Larson & the Bees Knees @ Aster Cafe, Minneapolis. 9pm – 11pm ($7) Ruiz is a singer/songwriter with a voice that recalls a mellow Ray Davies of the Kinks. His songs tend to be mellow as well, in a jazzy loungy, folk-rock kind of way, with interesting lyrics. Bethany Larson has been called one of the Twin Cities Best Kept Secrets. Her country-ish songs of longing and heartbreak have garnered rave reviews and many fans. You may want to get a reservation, since the Aster is somewhat tiny. Davina & the Vagabonds @ Lee’s Liquor Lounge, Minneapolis. 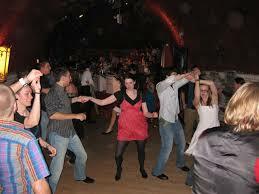 9:45pm ($10) Another opportunity to wear out the leather on your dancing shoes. Davina is a powerful singer and pianist, and together with her crack band, plays rompin’ stompin’ music. She and the boys are just back from Finland. If you’ve never heard this band, check out this video. Who Nu w/Dorothy Doring, Dee Miller, & Donald Thomas @ McCarron’s Pub & Grill, 1986 Rice Street, Saint Paul. 3pm – 7pm. I have to admit I’m not familiar with Who Nu, but judging by the caliber of the guest vocalists, I’ll bet it’s a funky R&B band. Dorothy Doring is equally at home in blues and jazz. Donald Thomas is a jazz singer/drummer with an R&B bent, and Dee Miller can belt the blues with the best of them, though I suspect she can also handle more sophisticated fare. Sounds like a good way to while away a winter afternoon. Carlos Núñez @ The Dakota, Minneapolis. 7pm ($25) And now for something completely different – Gallician bagpipes. Núńez hails from Gallicia, in the Northern area of Spain, where they’ve been playing pipes for over a thousand years. He’s recorded and toured with the Chieftans and is very popular throughout Europe and Latin America. LadySmith Black Mambazo @ The Ordway, Saint Paul. 7:30pm ($23) The deep sonorous voices of this all-male a cappella group from South Africa resonates with audiences throughout the world. Joseph Shambala started the group after having a dream one night, and worked to get just the right combination of voices. Hard to believe they’ll be celebrating their 50th anniversary this year. Watch them perform their magic. 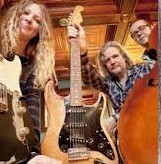 Pete Hennig and his Blue Grass Bandits @ The Black Dog Coffee & Wine Bar, Saint Paul. 8-10pm (Tip Jar) Drummer Pete Hennig is versatile: he’s in the Atlantis Quartet, Crankshaft & the Gear Grinders, and numerous other bands. He is also a banjo player and has put together a group to release his inner hillbilly: Shane Akers – dobro; Blair Krivanek, guitar & mandolin; and Neil Powell, upright bass.